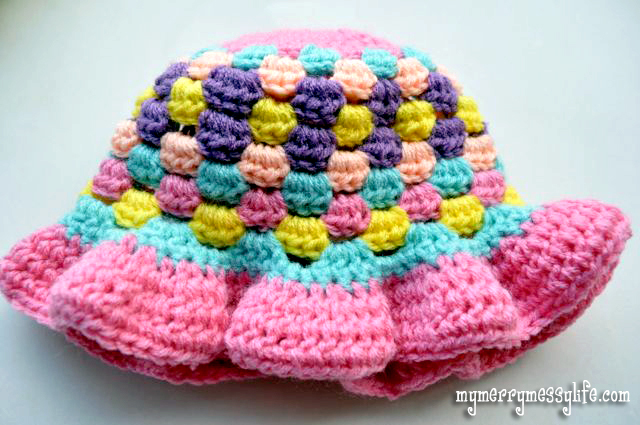 To see the FREE pattern to make this hat, click here. 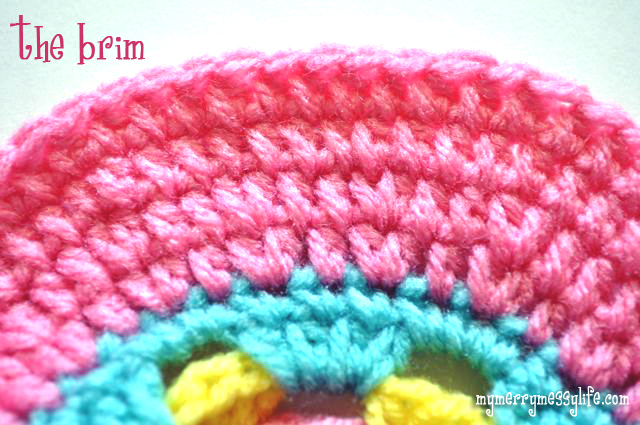 This brim pattern can be worked on any sun hat. It’s very easy and worked in the round. If your hat is not made with a HDC like mine, then you can change all the half double crochet stitches to the stitches that were worked in your hat (i.e., double crochet or single crochet). To go back to the FREE pattern to make this hat, click here.